SK 1/c James R. Bills, Jr., son of Mr. and Mrs. J. R. Bills, Loving, husband of Imogene A. Huber, Jermyn, Tex. 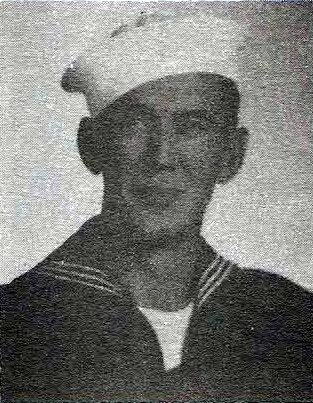 Entered navy, 1942, trained at NCTC, Williamsburg, Va., NAS, NAGS, Jacksonville, Fla. and Santa Rosa, Cal. Served aboard USS Curtis, S. Pacific, China Sea and Okinawa. Awarded ATO, APO and 1 Battle Star. Discharged in 1945.